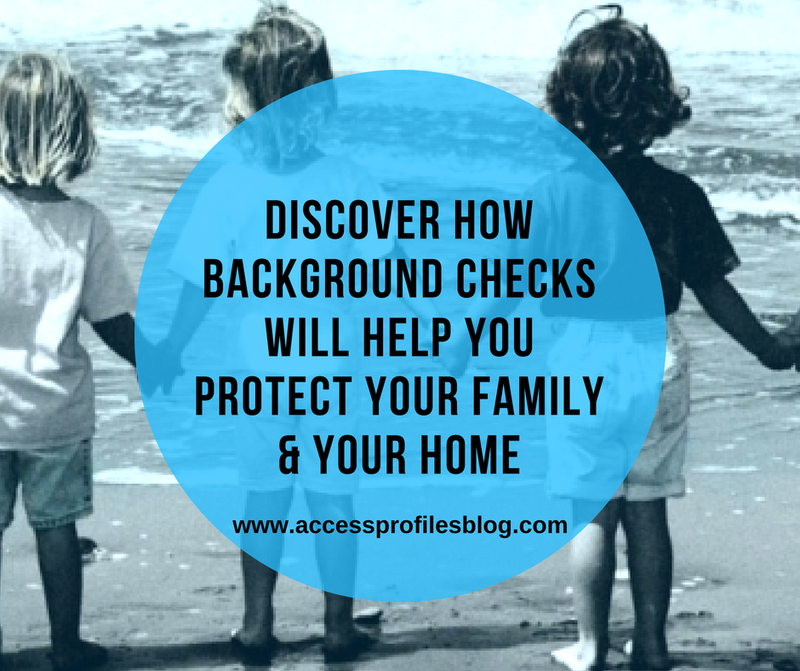 Background Checks can Help Keep Your Family and Your Home Safe! This is the time of year when many of us are looking forward to the warmer days and nights of summer. We are ready to have fun, relax, and spend time with family and friends. For many of us, Summer also means the beginning of a prolonged break from school. And while kids everywhere rejoice, parents are often faced with the logistics of how to keep our kids busy and cared for while we are at work. We might sign them up for activities like day or overnight camps, sports, and clinics. Some of us may even need daily or intermittent in-house or summer long day care for our children while we work. Many also look forward to taking a get away or two. And if we have pets, that can mean hiring pet sitters or looking into boarding kennels. We may even be thinking about getting the outside of our homes ready for the nice weather. Building or refurbishing decks. Ramping up our landscaping. Installing pools. Or even getting a new roof or updating our siding. 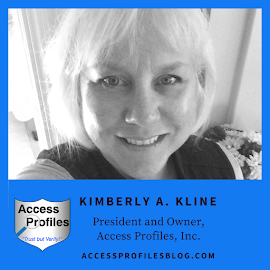 Whatever the case may be, our focus is on doing whatever is best for our families and our home ~ and a surprising way to help you achieve that goal is Background Checks! While most people are familiar with background checks when it comes to getting hired, it may seem strange to use them in your personal life. But the reality is that Background Checks are a useful tool when it comes to protecting yourself, your children, and your home. Background Checks are the best way to ensure that you are surrounding your children with adults who are safe and that your pets and your home are in the hands of qualified professionals. 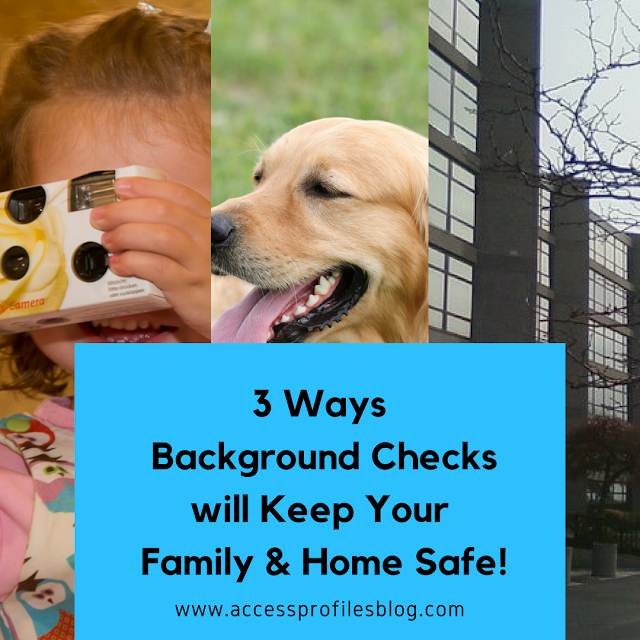 3 Ways Background Checks will Keep Your Family and Home Safe! "Tweet This"
When you sign your kids up for camp, sports teams, or any other activities, it is important that quality background checks are done on every adult that comes in contact with your child. That is even more vital if you need to hire nannies or send your kids to day care. But it is important that you understand that not all background checks are created equal. While many organizations will say they screen their employees or volunteers, it is crucial that you do your homework. Question these organizations. Know the sources they use for their background checks. Make sure they are checking the actual courts or the court’s own online databases. Verify that they are checking anyplace where the subject has lived and worked for at least the last 7 to 10 years and under any names they are currently or have ever used. And if you are not satisfied with their answers, move on and find another organization that does. Your child’s safety is what is important. Our pets are part of our family. We want them to be safe and happy is important to us. That is why we need to do everything we can to find good pet sitters and boarding kennels for when we need them. Asking the same kinds of questions of these pet sitters and kennels that we ask anyone who cares for our children makes sense. If using an agency, once again focus on the sources and time parameters they use to screen their workers. If hiring outside an agency, do the check yourself, or hire a background check company to do it for you. You should also check online and reach out to friends and neighbors for recommendations and reviews. When hiring individuals or a company for improvements to our home, it is important to vet both the company and it’s owner. Check civil court records for lawsuits and bankruptcies. Check online reviews both through the Better Business Bureau and social media sites. The key is to get enough information to put your mind at ease that you are hiring a company with a good reputation that can do quality work. But before you start, contacting a good background check company to help makes sense. They will answer your questions, suggest the best scope of your check, and contact the best sources to ensure you are getting the quality information you need to make an informed decision. Read “5 Tips to Help You Choose the Best Background Check Company for You” to learn more about how to find the right background check company for your needs. The bottom line is that when it comes to signing your kids up for activities or camp, hiring sitters for your kids or pets, and using Maid Services, Home Contractors or Handymen, you can’t be too careful. The safety of your family and your home is simply too important. 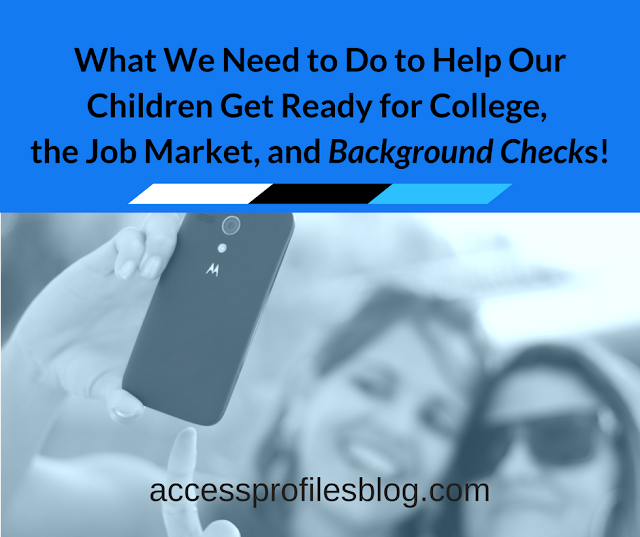 So Remember…..Background Checks are not just for employers. There are definite, "real life" ways you can use them to help protect your family and your home ~ and that makes the most sense of all! Find out more about our Background Investigation and Job Search services and what Our Happy Clients have to say too!